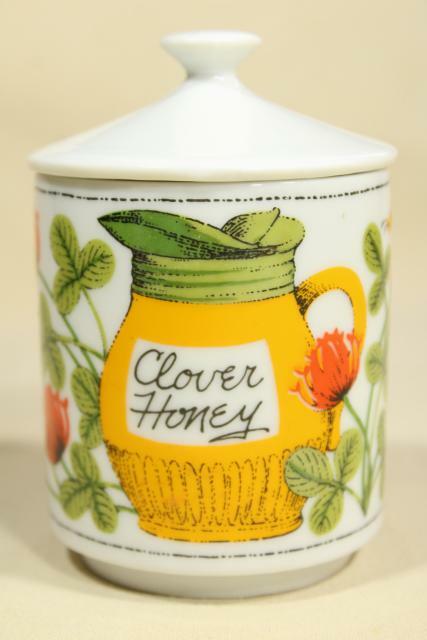 60s or 70s vintage Japan ceramic honey jar with Clover Honey design. 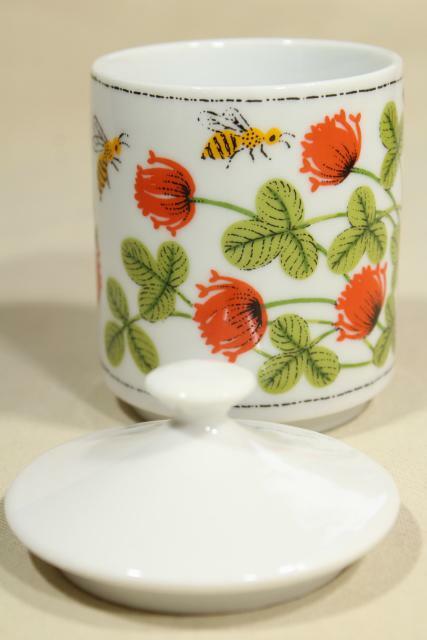 This is in excellent condition, nice and clean without damage or wear. 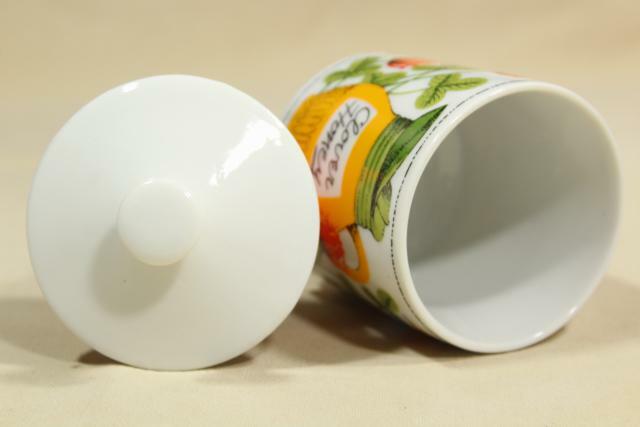 The lid is solid, not notched for a spoon or dipper. 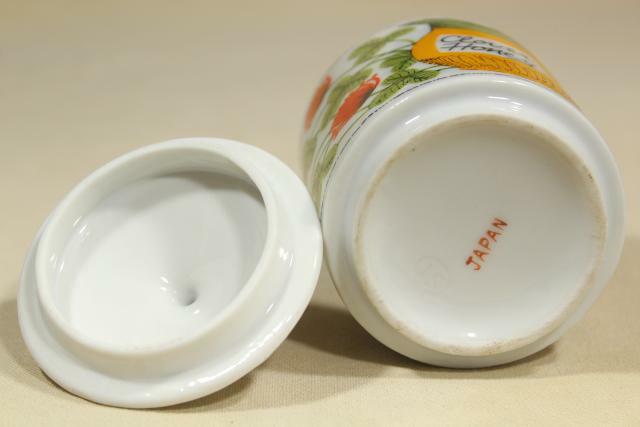 It's about 4 1/2" tall to the top of the cover, jar measures about 2 7/8" in diameter.